Here is the next edition of one of my favourite print magazines. Timeless Travels offers insights into destinations far and near and puts them into contemporary context. You’ll see my article on Japanese temples, and lots more reading for the autumn. 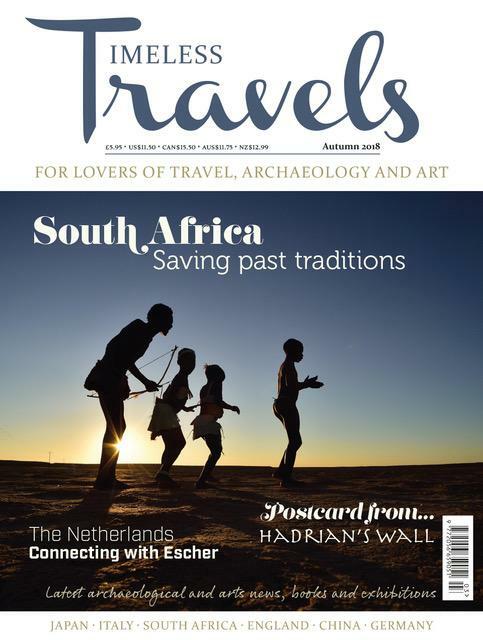 South Africa: Saving Past Traditions; The Netherlands: Connecting with Escher; A Postcard From…Hadrian’s Wall; Japan: Temples and Shrines – carefully crafted worship. Visit an ancient Ming city at Pingyao in China, discover the Romans along the Limes route in Germany, walk the backstreets of London and see art and fashion combine in Florence. Plus books, TT Loves, Intrepid Traveller (Maria Sibylla Merian) and the latest archaeological and arts news, reviews and exhibitions. Another packed edition with much to enjoy!